The 2019 Plant Genome Research Program Summer Internship at the Boyce Thompson Institute and Cornell University is now seeking undergraduate and local high school applicants! We are requesting your assistance in sharing this opportunity broadly with your students and relevant departments. For the past 18 years, BTI has been hosting a summer internship providing an outstanding student-development program that focuses on training and inspiring the next generation of scientists. Located on the Cornell University campus, BTI is a world leader in plant research and is dedicated to developing innovative solutions to feed a growing population, while protecting the environment and enhancing human health. 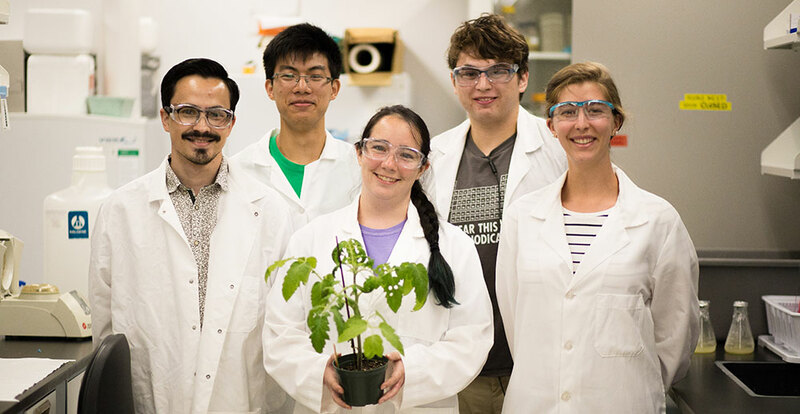 The summer internship programs at BTI offer students an unmatched opportunity to gain real-life experience in plant science research and bioinformatics. Please pass this opportunity on to your qualified students! You can easily share this opportunity by using the social media links below. Or, access and share our new 2019 BTI Summer Internship Poster! The Vance-Chalcraft lab (http://www.ecu.edu/biology/vance-chalcraft_heather.cfm) at East Carolina University is recruiting M.S. students who are interested in community ecology, outreach, or biology education research for Fall 2019. My research interests are diverse but include areas such as predator-prey interactions in aquatic systems, the benefits of incorporating citizen science projects into courses, and how graduate teaching assistants’ self-efficacy and teaching practices are impacted by professional development experiences. Funding is available to support students. If you are interested, please email the following information to vancechalcrafth@ecu.edu. Please let me know if you have any questions. After we correspond, the formal university application should be submitted before January 15th. The University of Virginia is seeking an M.S. student in Environmental Sciences to study the impact of neonicotinoid pesticide migration from agricultural fields into surrounding vegetation on pollinator survival and development. The research will focus on monarch butterflies and solitary cavity nesting bees and comprise both field and greenhouse work. Field work will begin summer 2019 with coursework starting in fall 2019. Project is fully funded (no teaching requirements) and housing is available during the summer at Blandy Experimental Farm. Student should have prior experience working with insects, especially bees or Lepidoptera. If interested, please contact T’ai Roulston (tai.roulston@virginia.edu). Potential projects include: 1. Examining the rapid genetic adaptation of introduced fishes into the Great Lakes, 2. Identifying the genetic and evolutionary consequences of domestication, captive breeding, and supplementation of wild populations, and 3. Using existing and novel approaches to determine patterns of dispersal, gene flow, and local adaptation within a metapopulation context. These are the main research themes in the Christie laboratory, and research often focuses on fishes, but graduate students are free to explore independent lines of inquiry in any system. Previous research experience with molecular techniques, computational work, statistics, bioinformatics, and assisting with the design and implementation of experiments will be highly regarded. If you are interested in joining the lab, please contact me directly at markchristie1500@gmail.com or christ99@purdue.edu with a CV and a brief description of your research interests and experience. Applications are due December 7th. A MS graduate assistantship is available in forest modeling/forest ecology at Penn State. The student will be part of a multidisciplinary team assessing and modeling an invasive insect effect on forest ecosystems. Students can enroll in the Ecology or the Forest Resources graduate programs. Excellent quantitative, GIS, and field skills required. Those interested please send CV, transcripts and GRE scores to Laura Leites at lpl3@psu.edu. A graduate research assistantship is available in the Coastal Fisheries Research Program (http://fisheries.utexas.edu) and Brad Erisman’s lab at The University of Texas at Austin Marine Science Institute (https://utmsi.utexas.edu/). The position is open to students seeking either an M.S. or a Ph.D degree. The position is scheduled to begin in August 2019 in coordination with the Fall 2019 semester at UT Austin with the option of starting earlier in the summer. We seek applicants that are interested in the fields of fisheries ecology and the reproductive biology, behavioral ecology, life history, population dynamics, management, and/or conservation of marine fishes. The student’s research topic is flexible within these fields but is expected to align with existing and pending research projects that explore spatio-temporal interactions between fishes, fisheries, and climate in the Gulf of Mexico (http://fisheries.utexas.edu/blog-masonry/). Students will have opportunities to receive training and experience in a wide range of areas including fish bioacoustics and acoustic monitoring, fisheries independent sampling, boating and diving, and fisheries/climate modeling. In addition to research and training associated with their thesis, the student will be expected to be actively involved in and provide support to all active projects in the lab. Applicants should be highly motivated, have a strong academic background, show evidence of independent work in the field and/or lab, and demonstrate a capacity to contribute to a diverse collaborative research environment. Prior training and experience in operating small boats, collecting and processing fish samples, research diving, and/or conducting fieldwork offshore are preferred but not required. Strong quantitative skills and proficiency with R or other statistical software are also valuable. For more information, please email a statement of interest/background and a copy of your CV to Brad Erisman (berisman@utexas.edu). Please note that students are highly encouraged to submit their formal applications to the UT Graduate School by December 1st and no later than December 10, 2018. 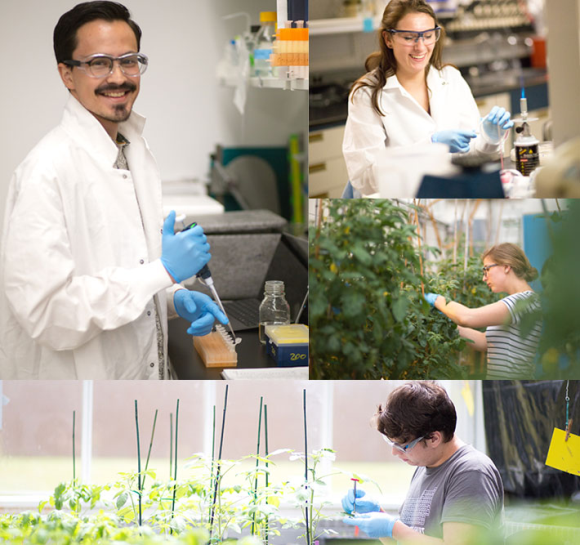 University of Virginia’s Blandy Experimental Farm has some wonderful fellowship opportunities for undergraduate and graduate students and postdocs during summer 2019. The opportunities are open to applicants from any college or university. The program emphasizes experimental ecology and evolutionary biology including a wide variety of topics such as plant-animal interactions, pollinator behavior and ecology, insect population ecology, and ecosystem ecology. Successful applicants will receive a $6325 stipend, additional money for food, and free housing. Each student picks a research mentor from our pool of faculty members and graduate students and then conducts a novel research project. The students will gain experience in experimental design, data collection, analytical techniques, and written and oral presentation of findings. REU students also benefit from several professional development workshops. This is a wonderful opportunity for an undergraduate student contemplating a future in science. The application deadline is March 1, 2019. Are you a graduate student or postdoc in need of a field station? Summer stipends ($6000 per summer), free on-site housing, and funds for research ($1000 per summer) are available for individuals proposing original research that uses our resources and facilities and contributes to the ongoing science program at the station. Interested students/postdocs should contact one of the Blandy faculty members listed below to discuss conducting your research at Blandy. You can direct your inquiries based on the faculty member with the closest match to your research interests; however, we are open to people working in all fields of environmental, ecological, and evolutionary research. Keep in mind this is not a complete fellowship package, rather it provides summer financial support and access to our facilities to supplement existing support from your home institution. For more information about the station: https://na01.safelinks.protection.outlook.com/?url=http%3A%2F%2Fblandy.virginia.edu%2Fresearch&amp;data=02%7C01%7Cmiranda.l.davis%40uconn.edu%7C817bb717dfac4da3f44808d6551ff5f6%7C17f1a87e2a254eaab9df9d439034b080%7C0%7C0%7C636789993096332525&amp;sdata=n8YotlbRUVw8Wi%2FewaQRHV0sJxobfozCu3rbJzwsI34%3D&amp;reserved=0. I’m looking for grad students who are interested in addressing evolutionary ecology questions, focusing on soil ecosystems, starting Fall of 2019. The 5-year, fully funded positions include a $24k/yr stipend, full tuition scholarship, health insurance, supplemental travel funds ($800/yr) and a broad range of academic and recreational benefits*. Dissertation projects will focus on core hypotheses associated with the McMurdo Dry Valley LTER research group (http://mcmlter.org), primarily the characterization of soil ecosystem responses to climate variation. Our hypotheses are informed by approaches including community and autecology, ecological genomics, comparative phylogeography, elemental stoichiometry, molecular evolution, and metagenomics/transcriptomics. Most (but not all) projects will require conducting field work in Antarctica. *BYU is located in Provo, Utah, where opportunities for world-class skiing, snowboarding, fly-fishing, kayaking, hiking, rock climbing, mountain biking, and many other outdoor recreational activities are less than 20 minutes from the lab. There are several festivals during the year in different areas of the county and Provo is home to a vibrant music scene. Salt Lake City is only 45 minutes travel by car or commuter rail. BYU is a private institution run by the Church of Jesus Christ of Latter-Day Saints. Students are required to uphold to a standard of personal conduct. For more information on this standard, please visit the Honor Code Office website (https://honorcode.byu.edu/). For full consideration, complete applications should be received by January 15, 2019, but late applications can be considered through the first part of February. – Computer vision techniques applied to high spatial resolution LiDAR and optical remote sensing imagery including data collected from airborne and terrestrial laser scanners, as well as unmanned aerial vehicles. – Change detection and time series analysis of multitemporal remote sensing image datasets, particularly as it applies to multitemporal LiDAR, hyperspatial optical, and “hypertemporal” datasets such as Landsat and MODIS. Previous programming experience and a background in remote sensing, GIS, and/or computer vision is highly recommended. – How do plants respond to their climate at regional to global scales scales? – What will be the future state of vegetated ecosystems under climate change? – How do non-climate factors such as natural and anthropogenic disturbance impact the past, present, and future distribution of plants? A degree or background in biogeography, environmental science, ecology, and/or biology is encouraged for applicants, as well as previous experience in remote sensing and GIS and/or ecosystem modeling. Prospective graduate students will be expected to develop their own research goals, and should have curiosity, motivation, and independence. Prospective students should email a short summary of their research interests as well as a CV to Dr. Greenberg jgreenberg@unr.edu before applying to the program. Funding will be available from a variety of sources, including fellowships, research assistantships, and teaching assistantships. Prospective PhD students should apply to the Ecology, Evolution and Conservation Biology graduate program (http://www.unr.edu/eecb) and prospective Master’s students should apply to the Natural Resources and Environmental Science program (https://www.unr.edu/nres).